Ten-year-old Abdullah would do anything for his younger sister. In a life of poverty and struggle, with no mother to care for them, Pari is the only person who brings Abdullah happiness. For her, he will trade his only pair of shoes to give her a feather for her treasured collection. 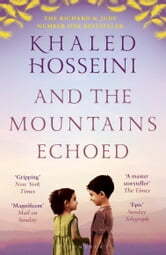 When their father sets off with Pari across the desert to Kabul in search of work, Abdullah is determined not to be separated from her. Neither brother nor sister know what this fateful journey will bring them. 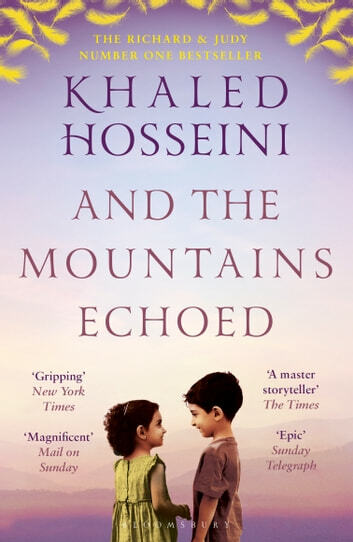 And the Mountains Echoed is a deeply moving epic of heartache, hope and, above all, the unbreakable bonds of love. I was grabbed from the start. There were deep layers of entangled and yet estranged lives. An honest story - definitely not a "Hollywood-type" version which made the characters very real and the story was therefore very believable - as if it was a true account. I loved it and I think I will be thinking about it for a good wee while. Beautifully written book. If you like to read about other cultures you will really love this story. It's moving and also sad. You read about several generations of which is clear that they all long for the country where they were born and grew up. The description of nature and atm0sphere is marvellous. Very good multi threaded novel highlighting how the decisions we make can affect not only our lives but the lives of those around us and those who come after us. Heartbreaking in places but wonderfully written.